Just to be a little different (since we can hardly resist that) we gave this Skylark a Zebrawood peghead instead of the regular Ebony. 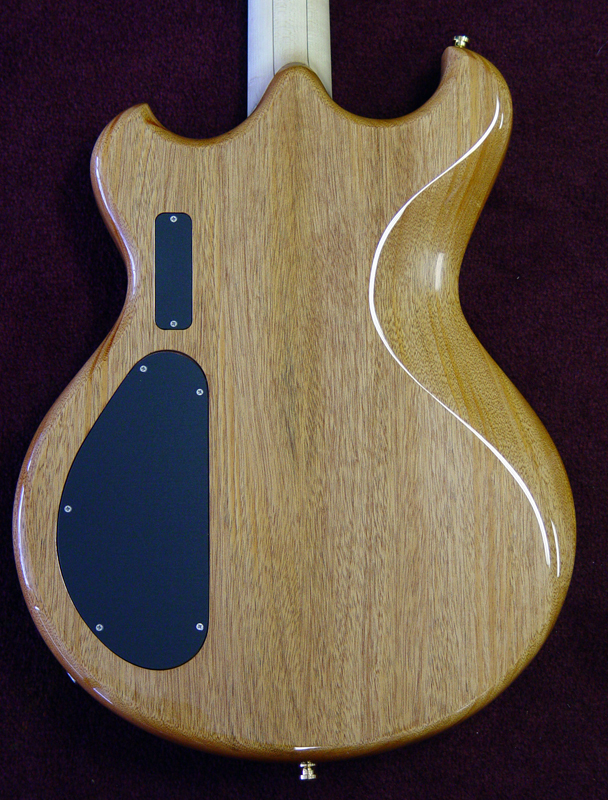 We've also added a special touch to the body glue-up with a small Purpleheart veneer midway through the top. It's one of those features that you might not notice right away, but when you do, it's a pleasant surprise. 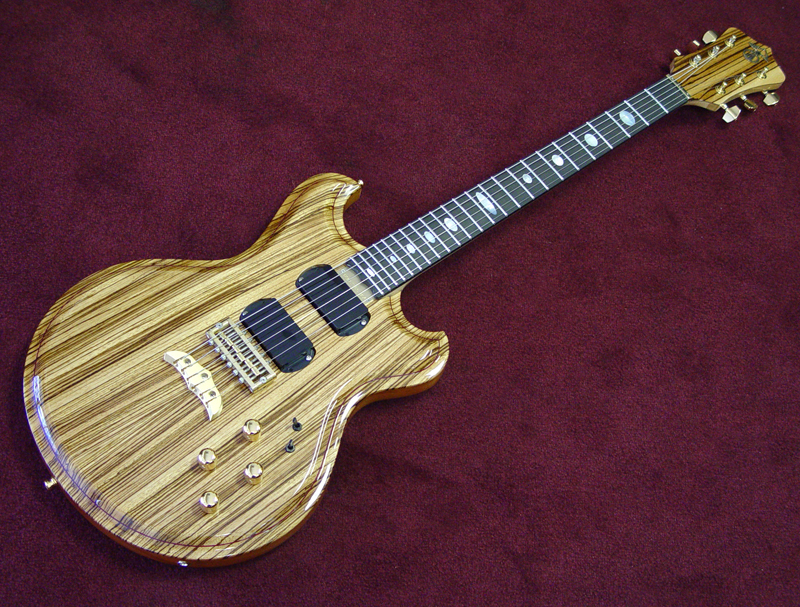 This is one sweet sounding guitar. 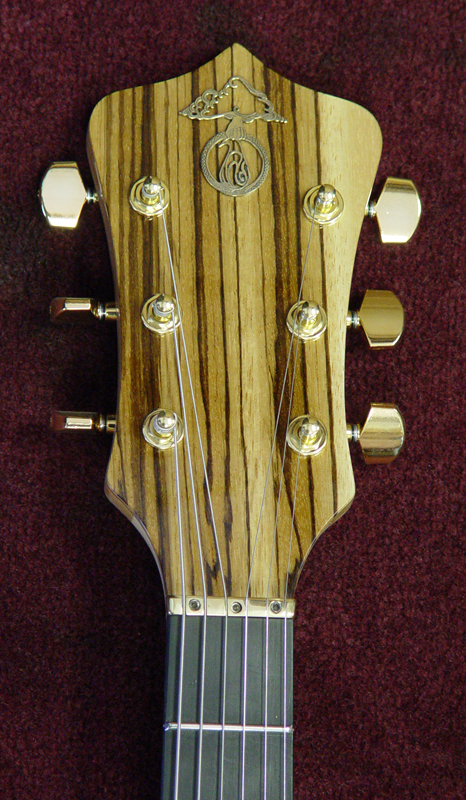 With a Zebrawood top, the tone is full and warm, never harsh even at the brightest settings of the electronics. The perfect instrument for smooth jazz tones. Skylark electronics give you total control over each pickup. Each has its own volume, filter and 3-way pickup selector.